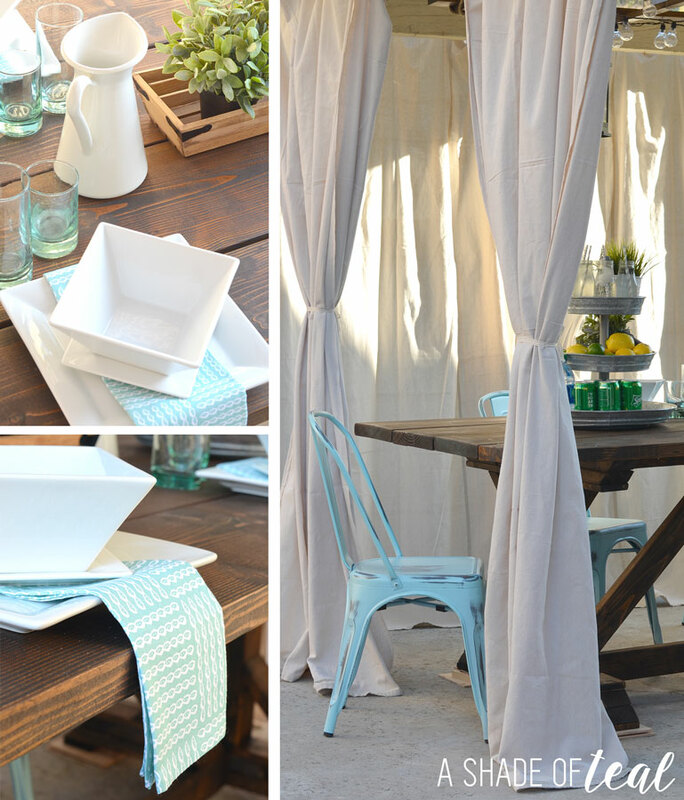 Yesterday I shared my new Rustic Farmhouse Table that I built for my outdoor patio. Today I’m sharing the perfect dining chairs to go with it! I wanted something simple that was Farmhouse meets Beach and I found the perfect chair with Office Star Products. 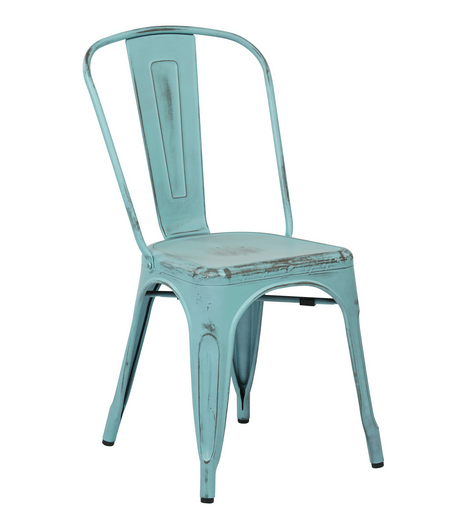 These chairs are the Bristow Armless Chair in Antique Sky Blue. They are the perfect aqua/pale blue with a grey distress. I love everything about them! These chairs aren’t intended for the outdoors so I do plan to bring them in when it rains; but the best part is that they easily stack for easy storage. Their metal frame is lightweight yet sturdy. 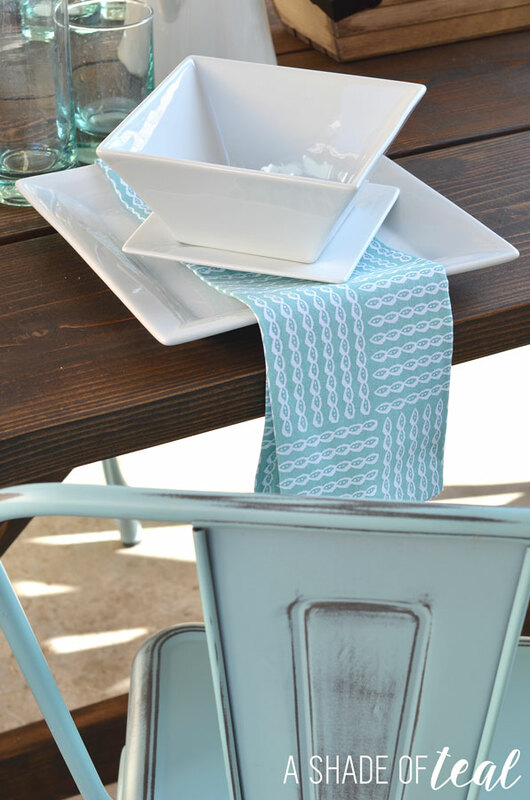 If you don’t like the Antique Sky Blue color then you can find several other options. Office Star also offers several unique products including tables, desks, office chairs, side chairs, and much more. I love that these chairs have that weathered and worn-in feel. Plus they’re so comfortable. So if your looking for the perfect dining chair that fits a rustic farmhouse style, then you need to get these chairs! To find more of Office Star’s products check out their Facebook page. I dont even have a rustic theme in my house but I want those chairs. Do they come in other colors? Hi Tara, These chairs come in 14 different colors to match just about any space! I have been wanting to do a project like this and I didn’t think it would be so cheap. I love those chairs. Faded out type furniture are my fav. this one looks so awesome. Love the colour of these, very summery and fun. I love rustic. This is all so beautiful! 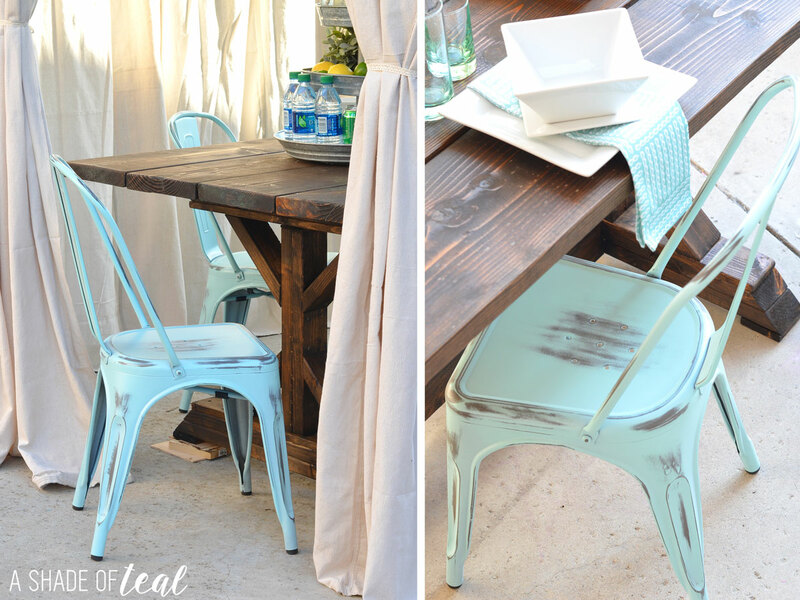 I love decorating with teal and those chairs are perfection! I really love the rustic design, it has a more home-y feel to it than most types of furniture and it’s really perfect for backyards! I love the color that you picked, it’s light on the eyes! I love the color! I am in the process of buying, or maybe redoing, the chairs we have in the dining room. There are so many options! 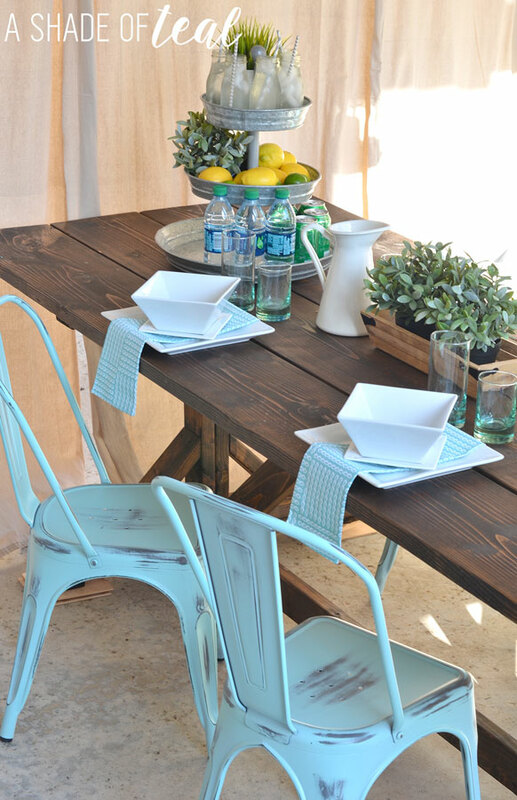 Love that table, we are making one of those this summer too, love farmhouse tables. Oh, I love those rustic themed chairs! Do you know if there are other colors? I would love a pink one and a green one, perfect for our rustic coffee table! Hi Lexie, These chairs are available in 14 different colors including antique pink & antique lime. We’re renovating the house we just bought and these are EXACTLY the kind of chairs we were looking for!! These are so beautiful! They would look perfect in my dining room! The chairs are perfect with the table. That is a great farmhouse table. Great look. 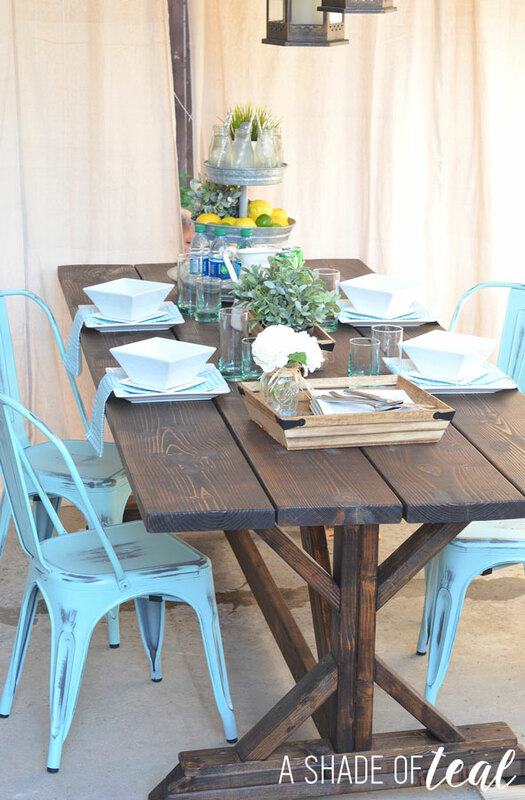 Those chairs are gorgeous and they matched the rustic theme perfectly. I love the setup! I am all into the rustic farmhouse style. Those chairs would go great with my farmhouse table. I am in love with your table and chairs, so beautiful! That’s a very natural and cozy vibe I’m getting from it. No issue with antique blue although I bet I can try it with a shade of red as well. However, blue works great with brown. Oh, my imagination! Those chairs are neat! I love the rustic look. Those are exactly what I need. I love them! Those chairs look incredible with that table. You are right, they are perfect! 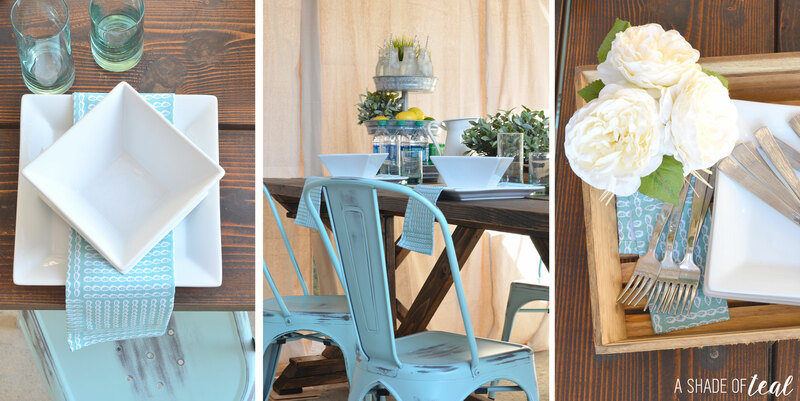 Those chairs are just perfect for your farmhouse table. I’ll have to check them out when I find my pefect table. how cute! I so love the whole set up. Really gorgeous! Thanks for sharing! 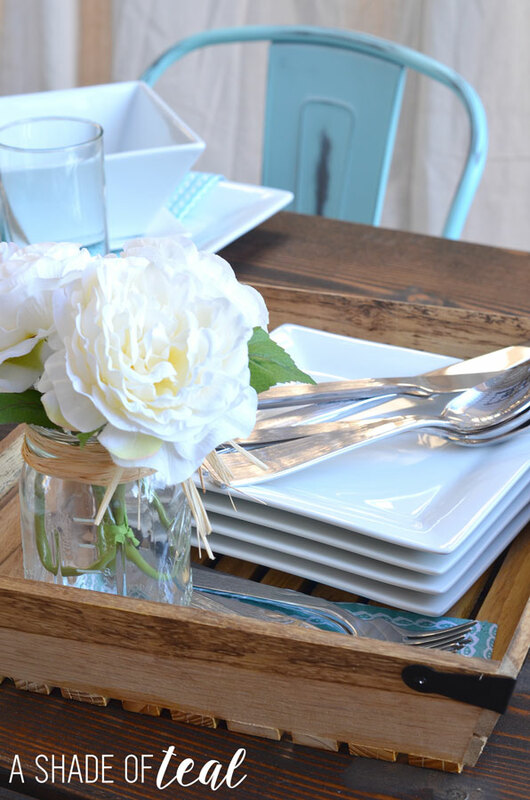 The rustic look isn’t my cup of tea, but those place settings on the table are super cute. I LOVE those chairs! And that table! Perfect combo! My sister in law has been distressing. I bet she would love this shade of blue. 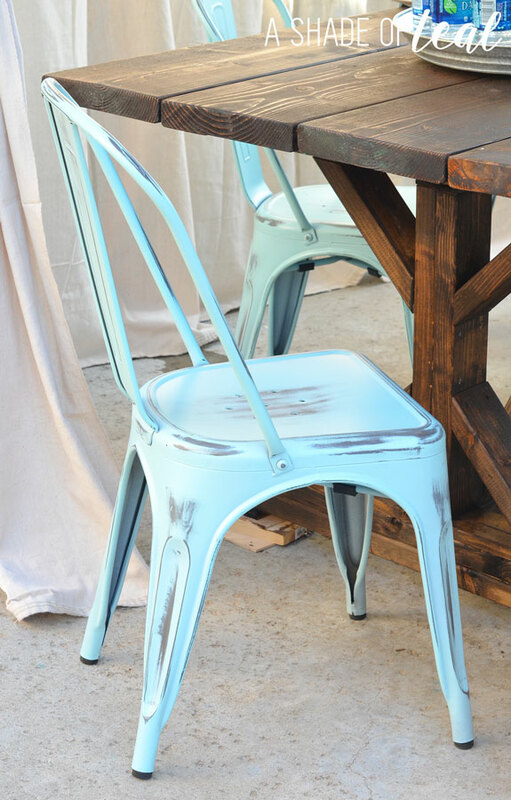 I love the Tiffany Blue chairs! Did you just paint them? Hi Aurora- No! They came that way!!! 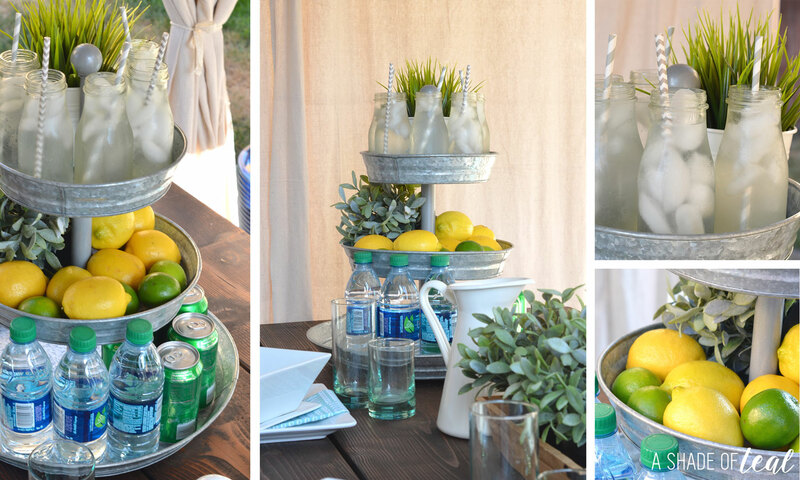 This theme is perfect for weddings! Lovely! This rustic designed setup is really good. This is lovely especially when you are eating with family. how awesome. i love all of the details and your photos are gorg. I adore everything farmhouse. This combination is just too cute—I want it all! My In-law did this recently for some outdoor furniture. Brought some farmhouse furniture and gave it a more rustic charm – look amazing.